Lights do not emit light, they absorb the dark. Electronics work on the “Smoke” theory that if they let their smoke out, they stop working. Lights then work on the theory that they absorb the darkness. When they have absorbed all that they are able to, they are done absorbing and need to be replaced. What are you going to replace your darkness absorbers with? The current trend is in LED or Light Emitting Diode lights. My Jeep had the old-style halogen headlights, and the plastic outer shell was cloudy. This made them not very good darkness absorbers and I really disliked driving the Jeep at night. 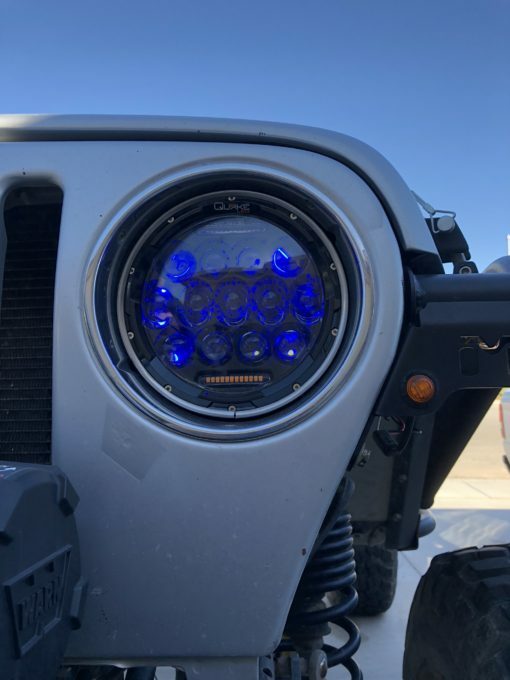 When I went to the Off-Road Ruckus event at the Texas Motor Speedway, one of the vendors next to the BFGoodrich Tires booth was selling LED lights. They had everything from rock lights to headlights and light bars. 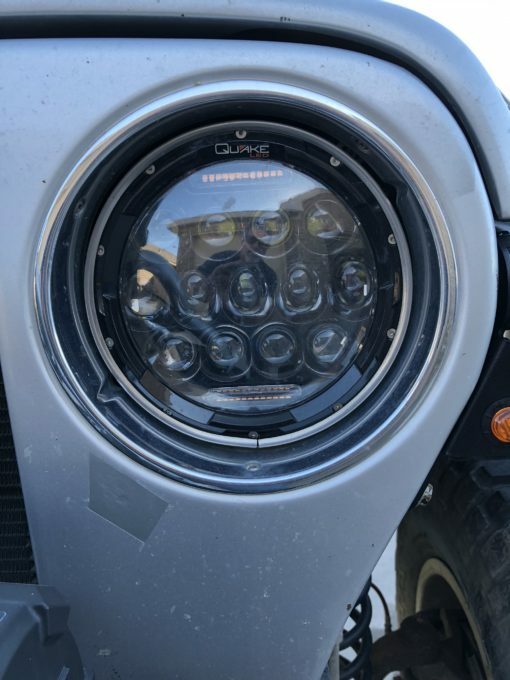 They were selling these Quake 7” LED headlights that would fit my Jeep. I picked up a set from them with their show discount price of $250.00. (https://quakeled.com/#) These have accent lights and either running lights or turn signals integrated into the light assembly. Looking around on Amazon, I did find the same lights for less money. I did not take any pictures of the lights in the shipping boxes, though I can say there were packed pretty good with the standard foam material and instructions. Who reads instructions these days? I did read them and even after that, the install is pretty straight forward. The lights are not labeled left or right, and the reason I mention this, is the extra pigtail that controls the accent lights on one light is longer than the other. The longer pigtail should have gone on the driver’s side of the Jeep, rather than the passenger side of the Jeep where I ended up installing it. 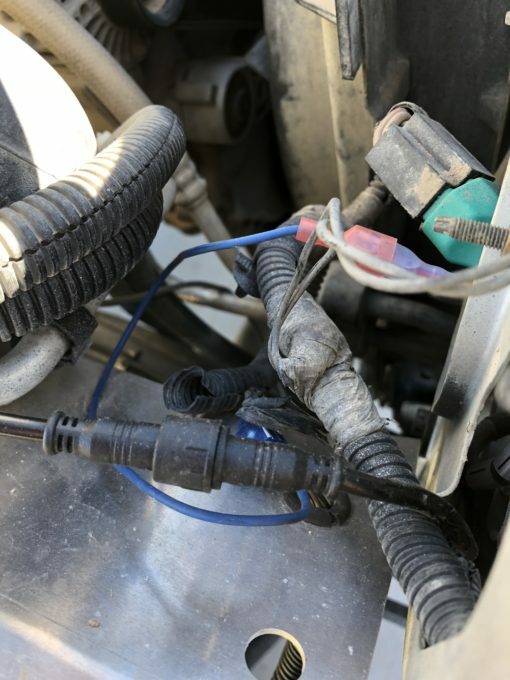 As you can see in the picture, all of this extra wire is now zip tied to this support rod in the engine bay of the Jeep. The instructions also have you download an app to control the accent lights. The installation is pretty straight forward on a 2004 Jeep TJ. Three special torx screws on the headlight bezel will remove it out of the way. The same torx bit is used to remove the three screws that retain the headlights in their sockets. I was worried about these screws being rusted in since they catch all the rain and dirt while driving. I did use a little WD-40 to ease their removal, but it was probably not needed. The removal of my old headlights was pretty easy, as they were also not the original headlights in the Jeep. The installation was a reversal of the removal, though prior to installing the headlight bezel ring, I did check alignment against my garage door. I wanted to make sure they were not angled out blinding other drivers, or angled too high or low. 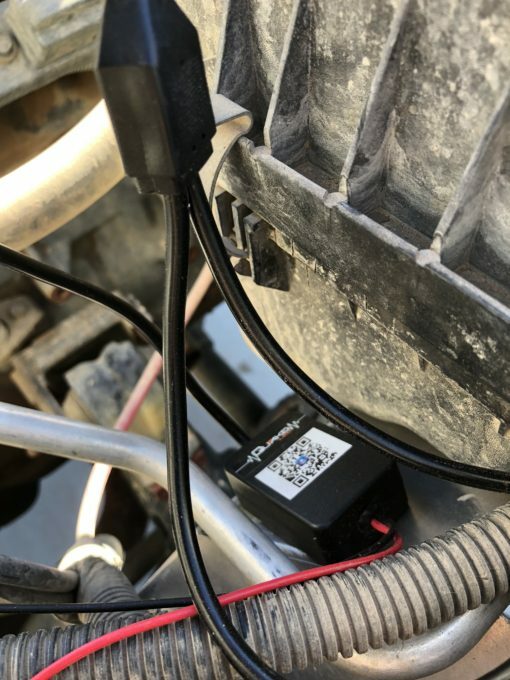 I connected the extra wire to my running lights to make the Jeep a little more visible. Now I do wish I had connected the wire to my blinker wires to make my turning intentions a little more visible too! 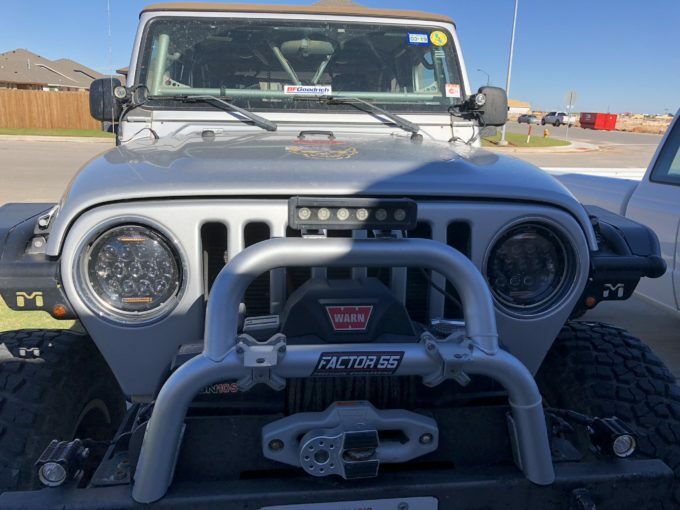 With flat fenders installed on the Jeep, the little LED turn signal lights are hard to see. I might go back later and changed this around in the near future. Remember that longer pigtail for the accent lights? This is the time frame when I really figured out the lights should have been in the other locations! 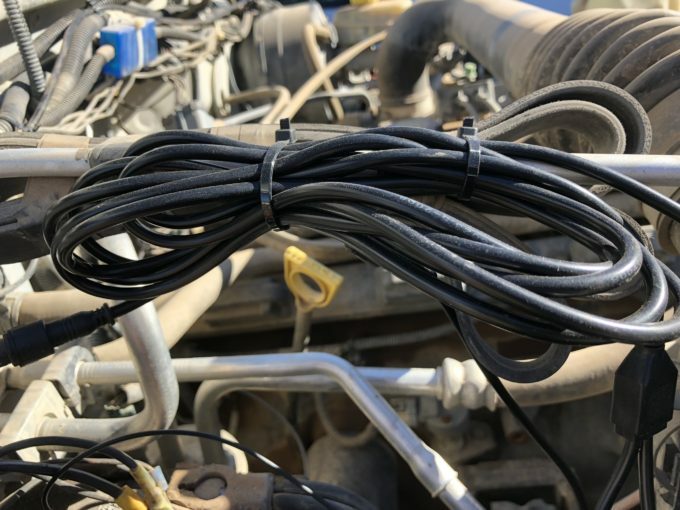 I did not have to extend any wires to make this work, though it would have made a cleaner looking install without the big bundle of wire hanging on the engine bay support rod. With the App downloaded and synced to the installed blue tooth device, I could change the accent light colors. You can set them to blink, strobe, cycle between colors, flash to music or just about anything your heart’s desire. Check your local state laws about colors that are allowed to be displayed and what they can do while driving. I set mine for a steady blue color. The app does have a timer that you can set the shutdown delay after you turn off your Jeep. I probably have something set wrong, as it did not seem to work for me. The help functions in the app are very basic with screen shots with things mentioning what they do. The last screen details very basic information about the app, and appears to be written by someone not well versed in the English language. These lights absorb the darkness exceptionally well, as most of the LED lights on the market do. I have noticed the distance that I can see into the distance with these is much further than my old clouded halogen headlights. I should have taken some pictures of how the old lights worked at night and then did the same photo with these lights to check. Overall on the light absorption ability, these lights are great. I would rate them a 5 out of 5 Jeeps. On the installation instructions, I have to give them a 3 out of 5 Jeeps for not referencing what light with the longer pigtail should go in what position on the Jeep. The app gets a 3.5 out of 5 Jeeps for the non-intuitive use and no real instructions and help features. Out of the box, the one light does have an LED burned out, and for that they get 3 out of 5 Jeeps for quality control. At the end of the day, I have to rate these lights a 3 out of 5 Jeeps for the thoughts mentioned above. I do recommend LED lights for any vehicle, though shop around and get the best price. Ok you guys sold me on LED lights, now who has the 5 out 5 ones? Fred, from what I have heard, the Trucklites one are very good. Can be very expensive though. 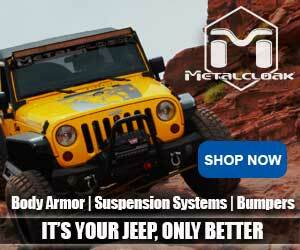 Most of the major light companies are making LED head lights for our Jeeps now. I think any of them would be a great addition. I would also check the reviews to see what other people are saying about them also. Rob from Quake found this review. He reached out to me and offered a replacement light. It was shipped out quickly and arrived here. I found the time today to change it out. No issues with changing out the light. Everything works on this one, and will have to check them out soon in the darkness to see if I notice a difference from the one that had the LED light out. After having them reach out to me and quickly resolving the issue with no questions asked, I would have to give them a 4.5 out of 5. I do think their instructions for the set could be a little better to explain what light with the long accessory lights goes on what side. 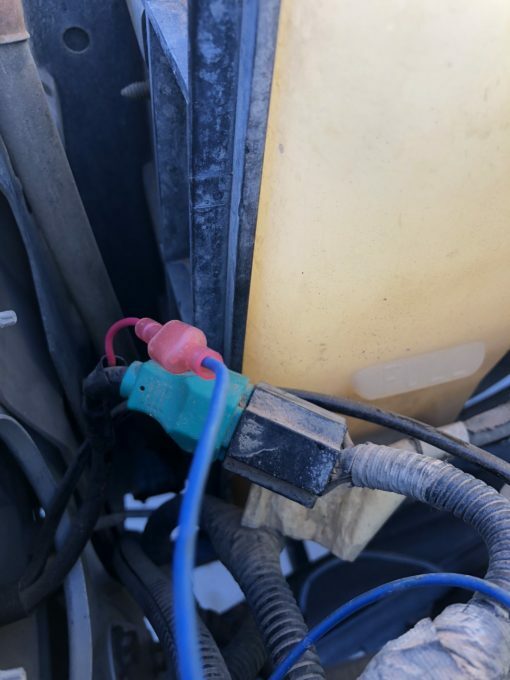 This is a minor issue and more of a pet-peeve of having excess wire ziptied around the engine bay of my Jeep. I like a clean look with my wiring in the engine bay.